Video Management: Service is designed manage the acquisition of substantial amounts of live and file-based video content at a low cost. Video Sharing: Service allows immediate one-to-one, one-to-many, and many-to-many sharing of live and file-based videos. preview large volumes of incoming video, select the video they want, and route it to their decoders. Broadcasters will only pay for what they use. The new feature includes the option to deliver live video to web and mobile devices. 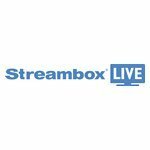 Streambox Live also includes video sharing for enterprise, a new feature that will let users send live or file-based video links from mobile devices and Streambox Live Server. Also available is the ability to take advantage of Streambox exclusive Low Delay Multi-Path Technology (LDMP). This reliable protocol helps users deliver low latency video from Streambox Live Service over multiple public IP networks. File playout to Streambox Decoders and Media Players is also possible. Free StreamboxME Pro apps are compatible with Streambox Live Service.